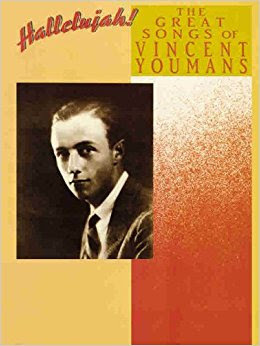 Vincent Millie Youmans (September 27, 1898 – April 5, 1946) was an American Broadway composer and producer of the '20s and '30s. He wrote popular songs and became famous for his Broadway musical hits. Among his Broadway hit songs are "Who's Who With You," "Country Cousin" and "Oh Me, Oh My, Oh You." Vincent Youmans' career began when he was four-years-old. He was born in New York to a hat chain owner and a housewife. His parents encouraged his musical genius when they gave him piano lessons at age four. His education took him to Trinity College, Heathcote Hall, and finally to Yale University where he studied engineering. With no interest in engineering, he dropped out of Yale. He then entered the U.S. Navy preparing musical shows for the troops. One of his songs was used by John Philip Sousa and renamed "Hallelujah" in 1927.
his song, "Country Cousin," was published and earned him a job at Harms Music as a pianist and song-plugger. Youmans then worked with Victor Herbert, assisting him in rehearsing singers for his musicals. The experience he gained in his first two jobs made him one of many successful composers of his time. 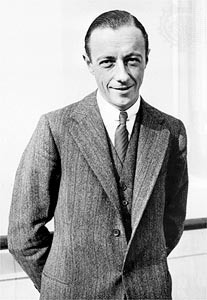 In 1923 Youmans collaborated with Herbert Stothart for the musical The Wildflower. 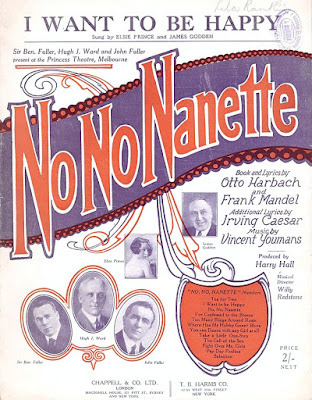 Another show for the duo, Mary Jane McKane, was unsuccessful in 1923 but garnered much musical success for Youmans under its 1925 title No, No Nanette. It featured the songs "Tea for Two" and "I Want to Be Happy." During the late '20s Youmans did several Broadway musicals including Oh, Please, Hit the Deck, Rainbow and Great Day. Success came for Youmans with Flying Down to Rio. 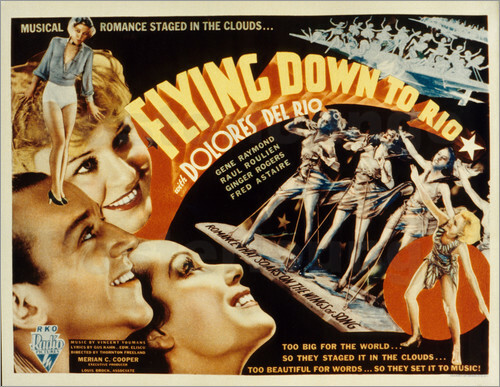 The cast included such film legends as Gene Raymond, Delores Del Rio, Fred Astaire and Ginger Rogers. 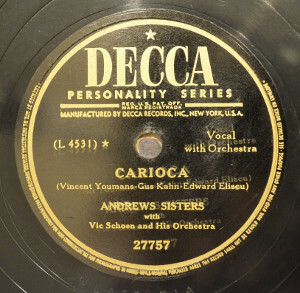 With hits such as "Carioca," "Music Makes Me," "Flying Down to Rio" and "Orchids in the Moonlight," it is no wonder Youmans, along with Edward Eliscu and Gus Kahn, earned a 1935 Oscar nomination for Best Music in the film. Unfortunately, in 1933 Youmans contracted tuberculosis and entered a sanatorium in Colorado. After a few years he was able to leave and parted to Louisiana where he began to compose again. In 1943 he opened The Vincent Youmans Ballet Revue in Boston. The show was full of ballet, puppets, music and costumes. Not a rousing success, the show ended without playing New York City as Youmans planned. In 1945 Youmans was forced to return to the Colorado sanatorium because of his failing health. At the age of 48 he died in Denver, Colorado. "Through the Years" was played at his funeral. 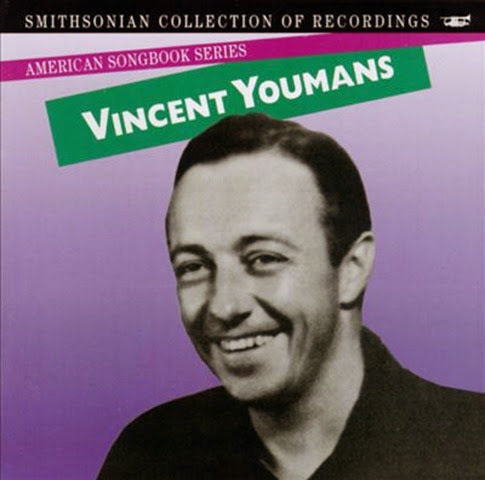 A popular musical figure on the Broadway circuit, Vincent Youmans was also a member of the Songwriter's Hall of Fame.